The student debt problem has reached crisis levels. Everyone knows a college degree increases employment prospects and compensation, but a serious debate has emerged about whether the costs of college are simply becoming too burdensome to justify. And rightly so: in 2014, The Economist reported that U.S. student loan debt exceeded $1.2 trillion, with over 7 million debtors in default. Those numbers are projected to only get worse. Still, some schools are leading the fight against this trend. Below, we’ve ranked the schools in which students graduate with the least amount of debt. Schools were ranked according to students’ average total debt upon graduation. All 4-year institutions (online, private, public, for-profit) were considered, except for specialty institutions. Data is from the 2013-2014 school year. Criswell College students graduate with 1/8 of the debt of comparable private schools in Texas, on average. In part, that’s due to Criswell’s exceptional record of financial aid: of those who applied, 77% received aid that was fully met. The percentage of students receiving Pell Grants is 42%, with the average recipient qualifying for $3,785. 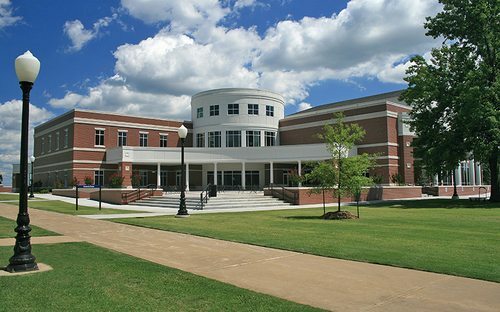 Other forms of financial aid include Criswell scholarships, outside scholarship, and a number of work-study opportunities, including part-time positions as a faculty grader, customer service, library services, and other clerical work. Further, with undergraduate tuition per credit at just $315, students’ financial burden is among the lowest in the country. From there, the math is simple — the lower the tuition, the lower the debt. 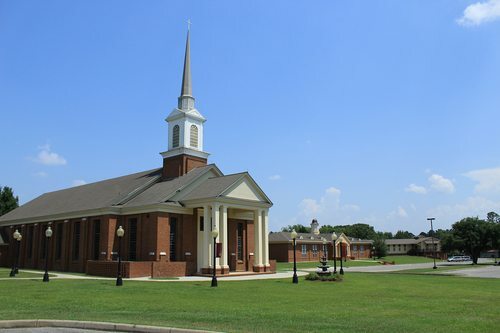 While originally a specialist Christian school, several other programs have been added, including Philosophy, Politics & Economics, Education, and Psychology. CUNY York College students graduate with nearly 1/6 of the debt of other 4-year public schools in New York, on average. In fact, only 9% of CUNY York students graduate with any debt at all. Of those who applied for financial aid, 62% had needs that were fully met. The average Pell Grant recipient qualifies for $4,192. In addition, CUNY York is a member school of the Thurgood Marshall College Fund (TMCF), a non-profit that supports nearly 300,000 students at historically black colleges, medical schools, and law schools. As part of the larger CUNY network, York benefits from an especially well-funded public school system – perhaps the country’s best – which has actually expanded post-2008 recession, with an estimated budget of $3 billion. York offers bachelor’s degrees in more than 40 fields, including well-respected programs in health, like the school’s combined BS/MS degree in Occupational Therapy. The Honors Program is a member of the National Collegiate Honors Council and the Northeast Regional Honors Council. Eastern New Mexico University students graduate with 1/4 of the debt of other 4-year public universities in New Mexico, on average. What’s more, only 2% of ENMU students graduate with any debt at all, an exceptionally small percentage (consider that nearly 50% students at comparable universities in the state leave school still owing money). 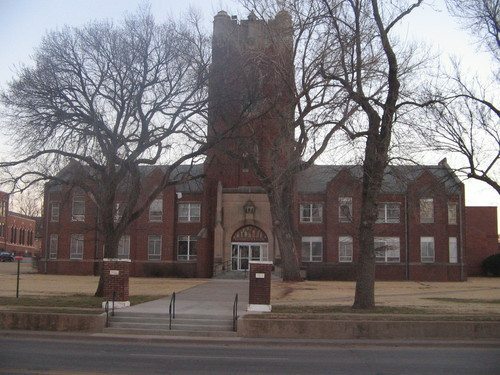 The school’s scholarship opportunities include the Green and Silver Presidential Scholarship and ENMU Foundation Scholarships. Academic options are numerous, with a College of Education and Technology, College of Fine Arts, College of Liberal Arts and Sciences, and a graduate school with nearly a dozen programs. ENMU, perhaps surprisingly, also boasts one of the best science fiction collections in the world. The Jack Williamson Science Fiction Library consists of 30,000 volumes, including pulp works dating back to the early 1900s, manuscripts, correspondence, and photographs. For interested students, a dual-enrollment program is also available. Baruch College students graduate with less than 1/5 of the debt of students at other 4-year public universities in New York. In total, just 20% of students take on The average need-based grant received by full-time undergraduates is $5,055, and the average Pell Grant recipient receives $4,381. Students also have the opportunity to participate in work-study programs, which typically reward more than $1,200. Students also benefit from an endowment of over $180 million and growing. For its combination of quality and affordability, Baruch has landed on a number of lists: the Washington Monthly ranked Baruch #1 in the Northeast in 2015 for providing “Best Bang for the Buck”; and Forbes ranked Baruch #14 in the country among “Best Value Schools” for 2015. It has also been highlighted in Entrepreneur, the Princeton Review, U.S. News and World Report, and many other publications for its graduates’ low debt. It is also routinely rated as of the most diverse colleges in the country. 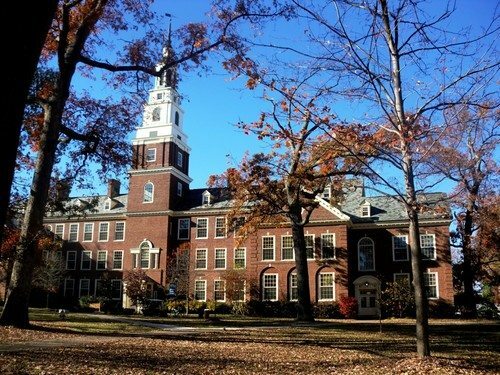 Berea College students graduate with just 1/4 of the debt of students at other 4-year private schools in Kentucky. And no wonder – Berea offers free tuition. In some cases, room and board are covered, as well. This is in large part due to the school’s $1 billion endowment, remarkable for a college of its size. Admission is only granted to students who require financial aid as determined by FAFSA, and most come from families with income in the bottom 40%. 92% of students receive fully-met needs, and 86% also receive Pell Grants (99% are eligible), which average to $4,519 per recipient. 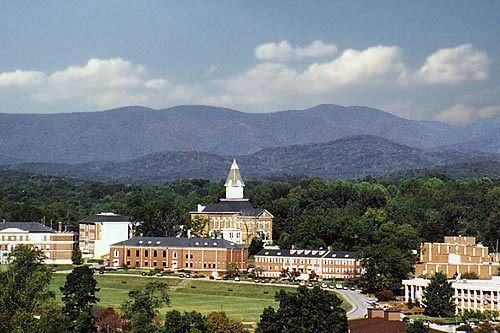 Bethea is also unique in that it is a work college. In exchange for its free tuition, students must dedicate at least 10 hours per week to on-campus work, which ranges from bussing tables, to groundskeeping, to building management. Many jobs are in the school’s emerging sustainability programs. Berea’s endowment has skyrocketed from $150 million in 1985 to its present heights through savvy, lucrative investments, in addition to avoiding extravagant expenses; the school prides itself on supporting simple living. Obviously one of the most prestigious schools in the world, Princeton University is also one of the least plagued by student debt. Only 17% of students graduate with any debt, a number that is less than 1/4 of the debt students accumulate at other 4-year private universities in the state of New Jersey. (For what it’s worth, it’s only 1/5 of nationwide student debt at private colleges). This is thanks to one of the best financial aid programs in the country, which in turn is thanks to Princeton’s whopping $23 billion endowment – the fourth highest total endowment in the country and, more important, the #1 per student. 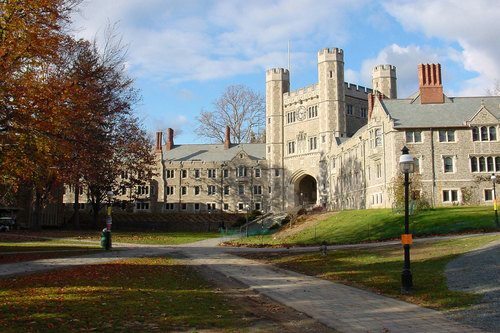 In 2001, Princeton became the first university in the country to adapt a no-loan policy. Instead, some 60% of students apply and receive grant aid, and, with need-blind admissions, all demonstrated need is met with combinations of grants and campus jobs. 13% of students also apply for Pell Grants, for which they receive $4,287, on average. Princeton’s considerable endowment is sustained through alumni contributions and investments. In 2015-16 alone, Princeton awarded $140 million to over 3,100 students. 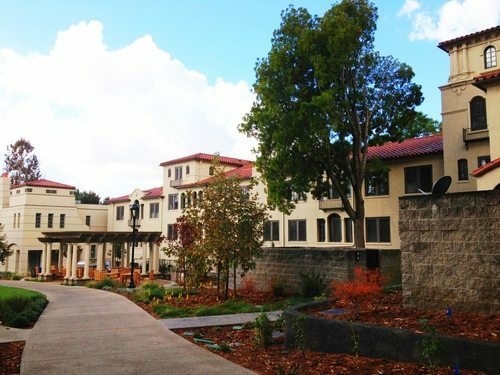 Beginning in 2007, Barclay College started to offer full-tuition coverage for full-time students living in dormitory halls. Hence, why Barclay graduates have very little debt to worry about. Compared to students at other 4-year private universities in Kansas, Barclay students graduate with less than 1/3 of the debt. Financial aid is plentiful: 92% of students apply for assistance in some form, and 72% of students’ needs are fully met. Further, 57% of Barclay undergrads receive Pell Grants averaging to $4,191. While the just-shy-of-$1-million endowment may seem small, consider that the school graduated only 125 students in 2008. The dividends suddenly appear more appetizing. Work-study programs also help keep costs down, and students earn back a total of $50,631 per year. While originally a school for ministry (the school was founded by Quakers), Barclay has expanded in the past few years to offer excellent programs in Psychology and Family Studies, Business Administration, Elementary Education, and more. Associate and graduate degrees are also available. CUNY Lehman College students graduate with nearly a 1/3 of the debt that other students at 4-year public universities in New York accumulate. In total, 75% of students graduate with zero debt at all. 80% of students qualify for some measure of financial need; the average recipient qualifies for $2,130. Pell Grant recipients are awarded $4,063. Lehman students also benefit from a robust work-study program that helps cover the cost of tuition: total student earnings per year amounts to $87,510. 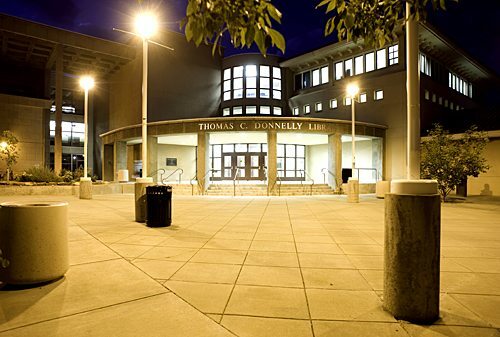 What’s more, Lehman offers a wide variety of scholarship and honors programs. The Macaulay Honors College is especially generous. Students receive a full tuition scholarship, Apple laptop computer, and $7,500 that can be used for various activities, including study abroad, reimbursements for internships or research, and service learning. Other programs are the Lehman Scholars Program, College Now (giving high school students the opportunity to take early college course work), and the Freshman Year Initiative, an interdisciplinary program which eases the transition into college life through intimate learning blocks. Alaska Pacific University students pay just $400 per credit hour – an easy formula to keep costs down and limit student debt. Financial aid is popular: 68% of students who apply receive some assistance, and 50% of those needs are met, on average. In addition, nearly 40% of receive Federal Pell Grants, which come out to $3,488 per recipient. Work-study programs are another cost-cutting option, and eligible students an average of $867. APU boasts hundreds of scholarships, all of which can be applied for with one simple online application. These include the Anchorage Amateur Radio Club Scholarship, Ed Stauber Ski Scholarship, Jane Hartman Writing Scholarship, President’s Forum Endowed Travel Scholarship, Yukon Delta Fisheries Development Association, and more. As you may have inferred from those names, APU has an excellent environmental and outdoors academic background. Some undergraduate programs include Environmental Science, Earth Sciences, Marine Biology, and Sustainability Studies. Hampton University students graduate with nearly 1/3 of the debt of students at other 4-year private universities in Virginia. Financial aid is particularly robust. 90% of students apply for financial aid, and nearly 20% have needs that are fully met. Otherwise, students receive 50% of their needs, or $5,036. In addition, 40% of students apply for Federal Pell Grants and receive on average $4,298. Work-study opportunities are another option; students receive an average $743 from these programs (for a total of $323,789). Founded shortly after the Civil War by black and white leaders, Hampton is highly prestigious historically black university, routinely ranked in the top three. With an endowment at nearly $290 million and 5,000 students, the school has an admirable $65,650 per student. Academic offerings are numerous and varied: 48 baccalaureate programs, 23 master programs, 8 doctoral programs, 2 professional programs, and 8 associate/certificate programs. Students also benefit from a 10:1 student-to-faculty ratio. Marymount California University students graduate with only 1/3 of the debt students at other 4-year private universities in California accumulate; 45% graduate with no debt at all. Financial aid options are excellent: 72% of students apply for some form of aid, and the average percentage of needs met per student is 66%, which translates to $21,556 – no small number. In addition, more than 40% of students apply for Pell Grants, which average to $4,543 per student, $600 more than students at other comparable in-state universities. The university also boasts a total of $100,000 rewarded in work-study programs. With an endowment of near $10 million, Marymount students benefit from an institution that is well-funded and financially secure. Some example undergraduate degrees include a bachelor’s in Business, Liberal Arts, Media Studies, Psychology, and more. Associate’s and master’s degrees are available for interested students. 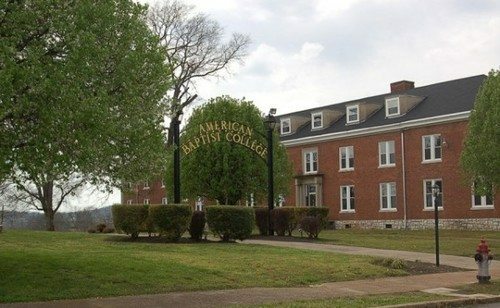 American Baptist College students graduate with only 1/3 of the debt of students at other 4-year private universities in Tennessee; 20% graduate without debt. Financial is very helpful: 75% of students apply for some form of financial assistance, and the average percentage of needs met per student is 42%, equal to $7,872. (Note that 94% of freshman receive federal grants, particularly useful for the high school to college transition.) In addition, more than 60% of students apply for Pell Grants, which on average account for $4,368. Work-study programs award $1,562 per student on average. 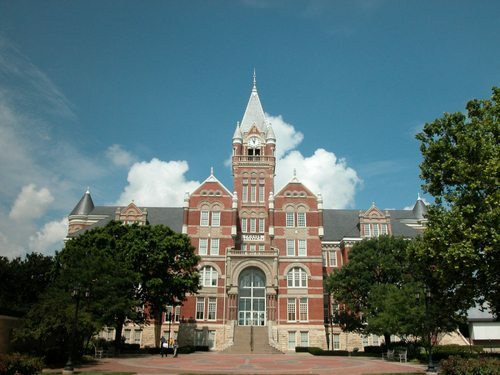 An historically black college, ABC was particularly influential during the Civil Rights movement, with such notable alumni as John Lewis, James Bevel, Bernard Lafayette, and many more. With an endowment of $2,101,146, the endowment per student comes out to about $13,000. Programs include degrees in general studies, Bible and Theology, and Behavioral Studies, among others. 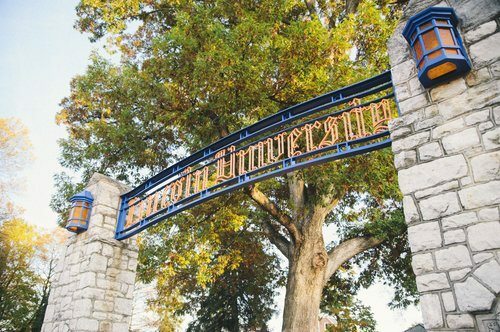 Alice Lloyd College students graduate with nearly a 1/3 of the debt of students at other 4-year private universities in Kentucky. In fact, almost half leave school with zero debt. Financial aid is both highly popular and helpful: through a work-study program, 100% of students apply for financial aid, and 10% have needs that are fully met. Otherwise, on average students receive 71% of their needs, or about $8,780. In addition, Pell Grants are popular; 56% of students apply and on average receive $4,414. Work-study opportunities reward approximately $2,320 (almost $1 million in total). Jobs include office assistant, tutor, craft maker, resident advisor, maintenance, grounds, and more; outreach projects are also available. For its size, Alice Lloyd also has an impressive $35,791,310 endowment, which leaves about $54,476 per student. There are 18 majors and 8 pre-professional degrees. The student-to-faculty ratio is a healthy 20:1. 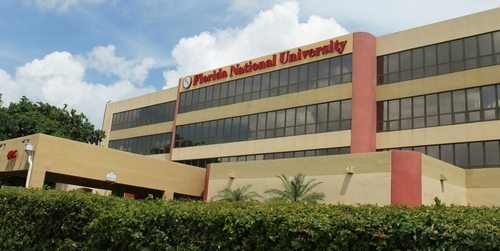 Florida National University has 63% of its student body applying for financial aid, which tallies to about $5,069 per student on average. In addition, 56% of students receive Federal Pell Grants that come out to $3,777 per recipient. Work-study programs are a major cost-coverer: on average, students earn $8,320 (with a total of $116,726 awarded). There are a number of scholarships available: the FNU Community Scholarship, Latino Entertainment Scholarship, Legal Leaders Scholarship, NURSE Corps Scholarship Program, and FNU Academic Scholarship, among others. Students may apply to up to two of these. FNU’s academic offerings include bachelor’s in Accounting, Business Administration, Legal Studies, Psychology, and numerous health professional degrees. Associate’s, certificates, and graduate degrees are also offered. 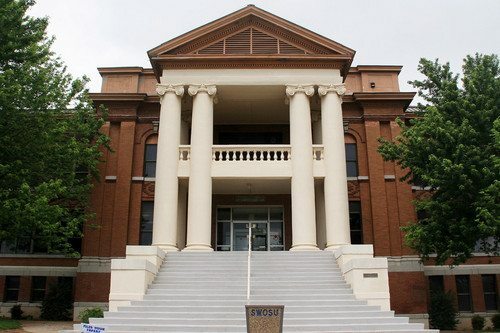 Amridge University students graduate with nearly 1/3 of the debt of students at other 4-year private universities in Alabama; almost 40% leave school with zero debt. Financial aid is excellent: 71% of students apply for some form of aid and 32% of have needs that are fully met. On average, the percentage of needs met is 52%, or about $3,065. Further, many students (41%) apply for Pell Grants, which on average award $3,025 per recipient. Formerly a ministry school, Amridge has grown to offer a large variety of degrees, including bachelor’s in Business Administration, Information Systems Management, Criminal Justice, Human Development, Human Resource Leadership, and Management, among others. 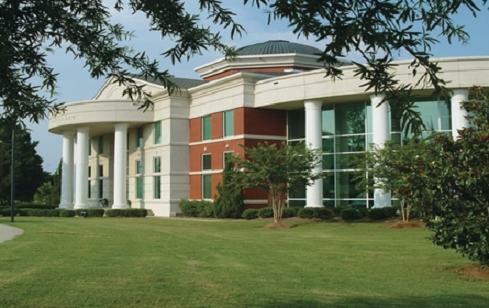 The school also offers associate’s, master’s, and doctorate degrees for those interested. Students at the John Jay College of Criminal Justice incur about half the debt other students at 4-year public universities in New York accumulate. In fact, an impressive 80% of students graduate with no debt at all. For students who apply for financial aid, 85% of their needs are met, about $2,954. In addition, students applying for Pell Grants receive approximately $4,371 on average per student. Work-study programs can be another worthwhile source of subsidization. In total, $930,144 is awarded per year. In 2012, John Jay joined the Macaulay Honors College. Its academics are highly ranked, particularly in the criminal justice, forensic science, forensic psychology, and public affairs programs, which have been rated by U.S. News and World Report, Forbes, The Economist, and more. 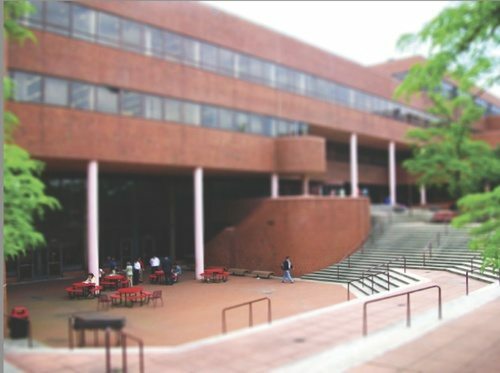 Washington Monthly ranked the college #4 in the Northeast region for “Best Bang for the Buck.” Other majors include Economics, Gender Studies, Philosophy, Political Science, Computer Science and Information Security, and many more. Students at California State University – Bakersfield have nearly 1/2 the debt of students at other 4-year public universities in California. Of the 92% of students who apply for some for of financial aid, 69% of their needs are met, about $3,503 on average. Moreover, 60% of students receive Federal Pell Grants, which amount to $4,285 per student. (The CSU system at large has an endowment of over $1 billion.) Work-study programs award $277,387 per year. With an endowment around $24 million, Bakersfield’s endowment-to-student ratio is fair. Scholarships are also available. Bakersfield’s academic undergraduate offerings total 91 different programs across a wide range of fields; these include Business Administration, History, Accounting, Public Policy and Administration, Small Business Management, Supply Chain Logistics, Physical Education and Kinesiology, and many more. National University students have less than half the debt of students at other 4-year private universities in California; 25% of students graduate with no debt at all. Financial aid is popular and effective. Of the nearly 70% of students that applied for some form of aid, nearly 80% of their needs are met, or approximately $8,284. In addition, of the 30% of students who receive Pell Grants, the average recipient is awarded $3,547. Students also benefit from a substantial endowment of more than $550 million – ranking among the highest in the nation – which breaks down to about $33,000 per student. 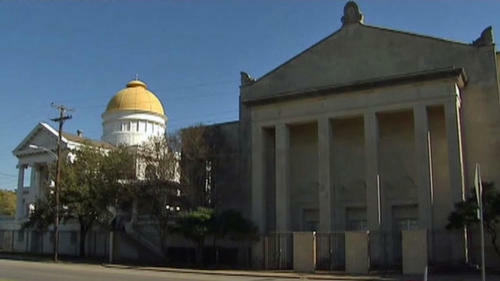 The school also has real estate assets over $150 million. National’s curriculum offerings are vast and spread out across five professionals schools and one college: the College of Letters and Sciences; the School of Business and Management; the School of Education; the School of Engineering and Computing; the School of Health and Human Services; and the School of Professional Studies. Students at the Lincoln University of Pennsylvania graduate with only 1/3 of the debt of students at other 4-year public universities in the state. 10% of students graduate with zero debt. Financial is both highly popular and hugely successful. Nearly 100% of students apply for some form of aid; 97% of applicants receive fully met needs, and the average recipient has needs that are 99% met. In addition, of the 66% of students who receive Pell Grants, the average recipient is awarded $4,473. With an endowment of around $35 million, that breaks down to approximately $20,000 per student. As the first historically black college to grant degrees, Lincoln is also a member of the Thurgood Marshall College Fund. 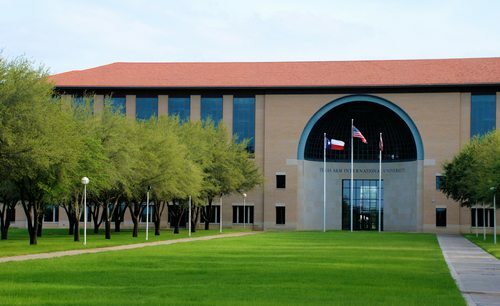 It is ranked as one of the top HBUC’s in the country. Undergraduate programs are numerous (nearly 40) and diverse, including Biochemistry and Molecular Biology, Criminal Justice, Health Science Program, Information Technology, Political Science, Psychology, and many more. Graduate and certificate programs are also available. Students at the California Institute of Technology graduate with less than half the debt of students at other 4-year private universities in the state. In fact, 70% of students graduate with no debt. Financial aid is one popular method of cost-cutting: 60% of students apply for some form of aid, and 50% have needs that are fully met. On average, students receive $35,474 of need-based grants – obviously a significant number. Pell Grant recipients are awarded nearly $4,000. In addition, work-study programs award $3,477 on average, totaling $966,648 per year. As one of the most prestigious universities in the country, Caltech is routinely ranked in a variety of top-ten lists. Students also benefit from a $2.2 billion endowment – governed by a permanent Trustee committee and administered by an Investment Office – which breaks down to nearly an astonishing $1 million per student. Caltech offers 24 undergraduate majors and 6 minors, among the most popular being Chemical Engineering, Computer Science, Electrical Engineering, Mechanical Engineering and Physics. There is also wealth of interdisciplinary degrees. Students at CUNY Brooklyn College graduate with half the debt of students at other 4-year public universities in New York. More than half of students graduate with no debt. Financial aid is particularly helpful. Of those who applied, nearly 60% has needs that are fully met, and the average percentage of needs met is 95%. Pell grant recipients receive $4,310 on average, and work-study programs have awarded a total of $3,336,592. The school’s endowment is $60 million. 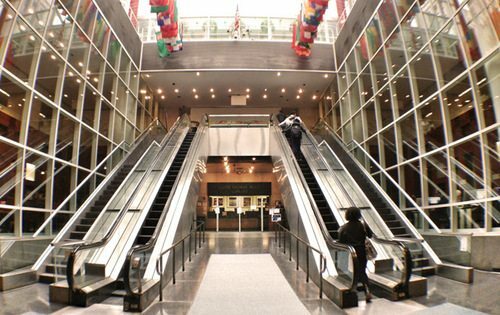 The Princeton Review has ranked CUNY Brooklyn in the top ten for value on several occasions. With over one hundred undergraduate majors, the college’s curriculum is varied. The school also has the oldest honors program in the CUNY system: the Scholars Program available to particularly promising incoming freshmen with strong writing skills and academic records. On acceptance, students receive a Brooklyn College Foundation Presidential Scholarship of up to $4,000 every year and a laptop. 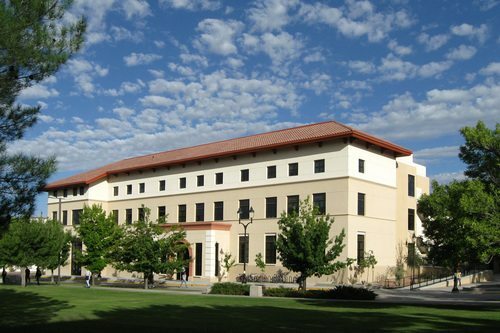 California State University – Fresno students graduate with nearly half the debt of students at other 4-year universities in the state. Nearly 25% of students graduate with zero debt. Of the 88% of students who apply for some form of financial aid, they meet 65% of their needs on average, or around $10,350. 60% of students receive Pell Grants, which come out to $4,450 per recipient. Further, work-study programs award $3,189 per recipient. Scholarship opportunities are also available. Fresno State awards over a thousand scholarships totaling more than 3.8 million dollars to incoming and continuing students, with grants ranging from $100 to almost $35,000. The school has an endowment of over $165 million. Program offerings are numerous and wide: 60 bachelor’s degrees, 45 master’s degrees, 3 doctoral degrees, 12 certificates of advanced study, and 2 different teaching credentials. Undergraduate majors include Business Administration (with 5 emphases), Child Development, Engineering (5 emphases), Mass Communication and Journalism, Public Administration, Women’s Studies, and more. Students at the University of North Georgia graduate with half the debt of students at other 4-year public universities in the state. More than 50% of students graduate with no debt. Of the 61% of students with financial need, 34% have needs that are fully met; on average, 66% of students’ needs are met, for about $5,800. Work-study rewards total $290,043. UNG’s endowment is more than $25 million. The school’s honors program emphasizes leadership and require students to serve in leadership positions within the Honors Program or elsewhere. UNG’s curriculum offerings are wide and numerous: 129 associate and baccalaureate degrees, in addition to pre-professional and certificate programs. Undergraduate majors include Agriculture, Biology, Environmental Spatial Analysis, English, Criminal Justice, Pre-Pharmacy, Paralegal Studies, Psychology, and more. Wellesley College students graduate with less than half the debt pf students at other 4-year private universities in Massachusetts. Nearly 50% of students graduate with no debt at all. Financial aid is popular and very helpful. Of the 58% of students who apply for some form of aid, more than 60% have needs that are fully met. On average, students receive $39,375 in need-based grants. For the 17% of students who receive Pell Grants, they are awarded $4,295. Work-study programs are another benefactor: in total, Wellesley students receive $1,782,569 working part-time jobs while enrolled. In 2013-2014, Wellesley awarded more than $58.9 million in financial aid. With an enormous $1.8 billion endowment, that breaks down to about $789,555 allotted per student. 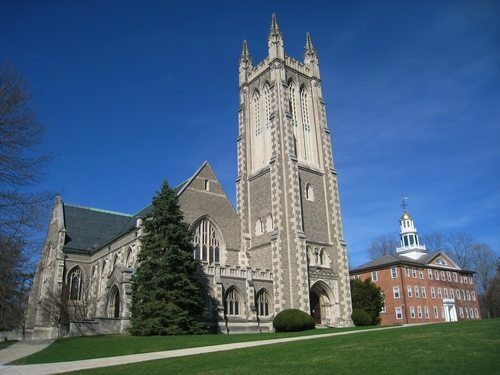 Wellesley is also one of the most prestigious colleges in the country and is the highest ranked women’s college in the U.S. With classes between 17-20 students, the student-to-faculty ratio is just 7:1. The school has 56 majors, as well as an option for a customized major. Northeastern Illinois University students graduate with less than half the debt of students at other 4-year public universities in the state. In fact, an impressive 82% of students graduate with zero debt. Of the 82% of students who apply for some form of financial aid, the average recipient receives $6,341 in need-based grants. Pell Grants are also popular: 52% of students receive the federal aids that come out to about $3,690 per person. In addition, work-study programs award $4,832 per student ($372,843 total). NEIU’s endowment is just under $4.5 million. The school has numerous scholarship opportunities, including NEIU Foundation Scholarships, Presidential Scholarships, and the Brommel Doctoral Scholarship, and merit, talent, and opportunity scholarships. Undergraduate majors include Economics, Global Studies, Justice Studies, Philosophy, Social Work, Women’s and Gender Studies, African and African American Studies, and more. Rogers State University students graduate with nearly half the debt of students at other 4-year public universities in Oklahoma. In fact, half of the school’s students graduate with zero debt. Financial aid is a notable factor: 70% of students apply for some form of aid, and on average recipients get 50% of their needs. 42% of students also receive Pell Grants, which come out to $3,544 per recipient. Work-study grants average to $1,418. The university’s endowment is approximately $6.7 million. RSU has 17 undergraduate majors: Applied Technology, Biology, Business Administration, Business Information Technology, Communications, Community Counseling, Game Development, Justice Administration, Liberal Arts, Military History, Nursing, Organizational Leadership, Public Administration, Social Entrepreneurship, Social Science, Sports Management, and Visual Arts. There are also 13 associate’s degrees and an MBA program, for interested students. 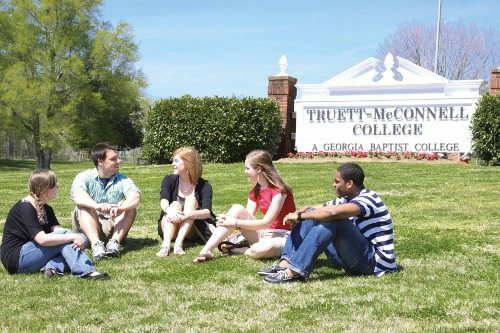 Truett-McConnell College students graduate with less than half the debt of students at other 4-year private universities in Georgia. 40% of students graduate with zero debt. Financial aid is particularly popular – over 90% of students apply for some form of aid, which on average totals $5,863 in grants per student. Further, 50% of students receive Federal Pell Grants, for which the average recipient is awarded $4,105. Undergraduate majors include Business Administration (with 5 concentrations), Christian Studies (3 concentrations), World Missions, Interdisciplinary Studies, Education (3 concentrations), Psychology (2 concentrations), English (2 concentrations), History, and more in nursing, music, and science. 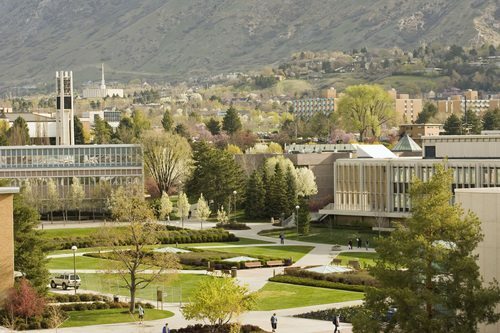 Over 70% of students at Brigham Young University graduate with zero debt. Financial can be a big help: of the 50% of students with need, 21% are fully met. The average amount of grants for an undergraduate is $4,897; Pell Grant recipients are awarded $4,147. This is in part thanks to a tuition that is almost half the cost of other 4-year private universities in Utah. A $1.5 million endowment certainly helps, too. (Endowment per student is $48,247.) BYU is a highly respected school. As of 2016, U.S. News and World Report ranks it #66 for national universities. Even more relevant for those looking to limit debt, BYU has been ranked as one of the best values schools in the country by the Princeton Review and U.S. News and World Report. A large number of scholarships are available. In particular, the school’s business school is well respected. There are 194 undergraduate majors in the humanities, education, law, nursing, religion, social sciences, and more. Students at New Mexico Highlands University graduate with over $4,000 less debt than students at other public universities in the state. Further, 49% of graduates with no debt at all. With more than 77% of students qualifying for needs-based grants, financial aid is particularly popular and most students apply for some form of federal aid, which tallies to $1,792 per recipient on average. In addition, 50% of students receive Pell Grants, which average $4,004 per student. Work-study programs reward a total of $347,854. With $6 million in assets, the NMHU foundation awards more than $200,000 in scholarships annually. The school offers an extensive and varied number of undergraduate majors, including Business, Education, Information Systems, Management, Oil and Gas Management, Sports Management, and much more. Graduate, professional, and online degrees are available, too. Williams College students graduate with less than half the debt of students at other 4-year private universities in Massachusetts. In fact, 65% of students graduate with zero debt. Financial aid can be particularly helpful. Of students who apply for some form of financial assistance, 52% have that were fully met. On average, students receive $42,565 in need-based grants. Of the 20% of students who receive Pell Grants, the average recipient gets $4,431. Work-study programs are another helpful cost-reducer; students earn $1,837 on average. Williams students are especially helped by the university’s $2.2 billion endowment, which affords each student a whopping $1,170,000. Established in 1793 from the estate of Ephraim Williams, the school started the Williams College Investment Office in 2006. In 2014 alone, it had a return rate of 9.9%. As one of the most prestigious schools in the country – and the #1 ranked liberal arts school by U.S. News and World Report – Williams offers 36 majors and two master’s degree programs in Art History and Development Economics. 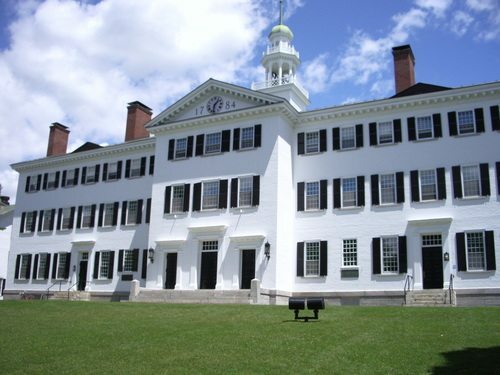 Students at Amherst College graduate with less than half the debt of other students at other 4-year private universities in Massachusetts. What’s more, 70% of students graduate with no debt at all. Of the more than 50% of students who apply for financial aid, 56% have needs that are fully met, and on average students receive $45,604 in grants. 22% of students receive Pell Grants, which tally to $4,419 per student. Work-study opportunities award $1,733 per student. With an endowment of approximately $2.2 billion, the endowment-to-student number is an astonishing $1.2 million. 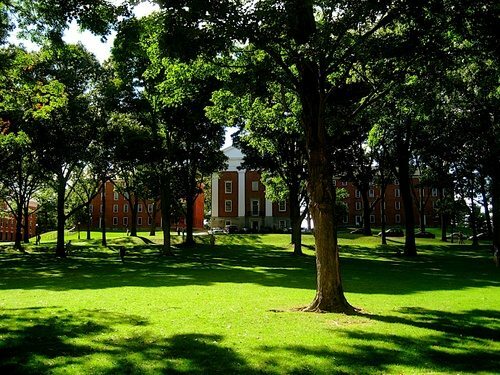 In addition, Amherst remains one of the few higher education institutions in the country – including Harvard, Yale, Princeton, MIT and Dartmouth – to offer need-blind admissions to domestic and international students. One of the top ranked schools in the country, Amherst has also been named of the very best value schools by the Princeton Review and Kiplinger’s Personal Finance. 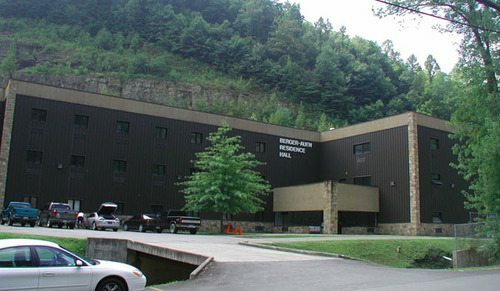 The college offers 36 undergraduate programs and unique open curriculum that avoids core requirements. California State University – Los Angeles students graduate with nearly $5,000 less debt than students at other 4-year public universities in the state. Financial aid is popular and helpful: 90% of undergraduates apply for financial aid, and the average percentage of need met of full-time undergraduates is 77%. Total need-based grants per recipient average to $9,932. In addition, 68% of undergrads receive a Pell Grant, which tallies to $4,342 per student. Total federal work-study awarded comes to $821,770. 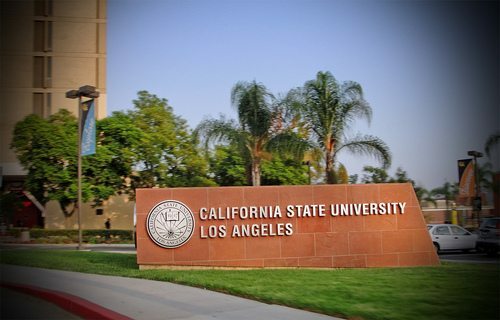 Notably, CalState was ranked among the top colleges in the country by Payscale and CollegeNet’s Social Mobility Index. The university has an endowment of nearly $30 million.Students have a large and diverse number of majors, 129 in total to choose from, in addition to 112 different Master’s degrees, 3 Doctoral degrees, and 22 teaching credentials. Students at CalState Fullerton graduate with nearly $5,000 less debt than students at other 4-year public universities in the state. 60% of students graduate with zero debt. Financial aid is popular: of the 75% of undergrads who apply for some form of financial aid, 29% have needs that are fully met. And on average the percentage of need met is 56%. Average need-based grants come to $10,010 per recipient. Of the 45% of students who receive Pell Grants, those come out to $4,230. Work-study programs are also beneficial, with the average recipient being awarded $3,805. 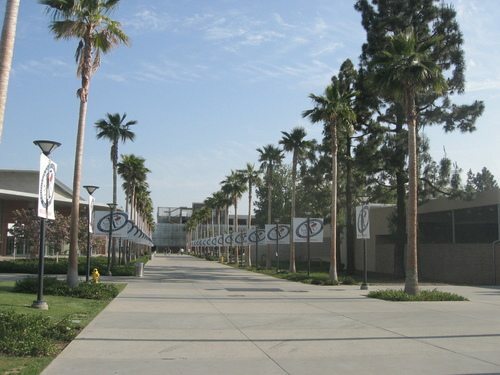 Fullerton has an endowment of nearly $52 million. It is also routinely ranked among the best universities in the nation, most perhaps most notably ranking in the top 40 the Social Mobility Index. Undergraduates have the opportunity to choose from 120 bachelor’s degrees. In addition, there are 118 master’s, 3 doctoral degrees, and 19 teaching credentials. 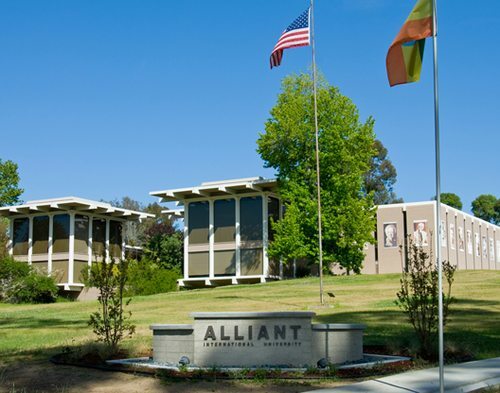 Students at the Alliant International University graduate with nearly 1/2 the debt of students at other 4-year private universities in California; 25% graduate with zero debt. Of undergrads that apply for some form of financial aid, he the average percentage of needs met is 67%. The average need-based grant per student is $11,000. Pell Grant recipients receive $4,133 (several hundred more than at comparable schools in the state), and federal work-study awarded totals $71,846. There are also a number of scholarships. Alliant offers bachelor’s degrees in Business Administration, Child Development, Criminal Justice Systems, Political Science, and Psychology. In addition, the school offers doctorates, masters, certifications, and credentials. Harvard University students graduate with almost half the debt of other students at 4-year private schools in Massachusetts. In fact, 75% of students graduate with zero debt. Of the 33% who applied for some form financial aid, nearly 60% had needs that were fully met. 70% of all students receive some aid and 20% pay nothing. On average, students receive $44,430 in grants. Further, 10% of students receive Pell Grants, which total $4,289 per recipient. Work-study opportunities are also available; on average, these are $2,781 per recipient. Obviously perhaps the premier university in the country, Harvard students benefit from an incredible $38 billion endowment, the largest in the world. That leaves a student-to-endowment total at more than $1.2 million, and the ability for the university to create generous financial packages. Harvard offers 46 undergraduate concentrations (or majors), 134 graduate degrees, and 32 professional degrees. Friends University students graduate with about $9,000 less debt than students at other 4-year private universities in Kansas; 25% graduate with zero debt. Financial aid is particularly popular: of the 73% of undergrads who apply for some form of financial aid, 20% has needs that are fully met. On average, undergrads had 69% of their needs met. The average need-based grants come out to $12,584. In addition, nearly 40% of students receive Pell Grants that total $3,647 per recipient. Work-study grants reward $1,720 on average ($299,338 total federal). Undergraduate majors include degrees in Business and Information Technology, Education, Fine Arts, Natural Science and Mathematics, Religion and Humanities, and Social and Behavioral Sciences. 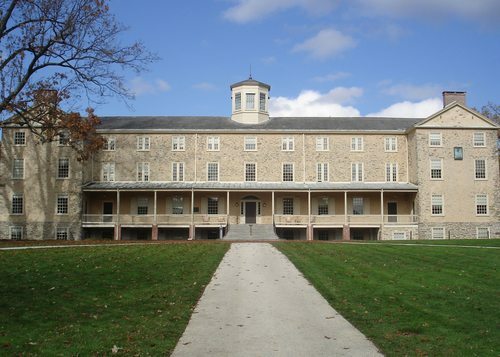 Haverford College students graduate with less than half the debt of students at other 4-year private universities in Pennsylvania. Nearly 75% of students graduate with zero debt. And of the 54% of undergrads who apply for some form of financial aid, 51% have needs that are fully met. On average, need-based grants total $41,124 per recipient – quite a significant savings. 16% of students also receive Pell Grants, which come t0 $4,447 per undergrad. Work-study opportunities may also be beneficial: Haverford students are awarded $125,025 from federal work-study grants and $835,679 from the state. Routinely ranked in the top 10 liberal art schools in the country, students also benefit from a half-billion dollar endowment, which breaks down to about $400,000 per student. Students choose between more than 25 majors, including Neuroscience, Creative Writing, Environmental Studies, Middle East & Islamic Studies, Scientific Computing, Romance Languages, 4+1 Engineering, and many more. Students at Southwestern Oklahoma State University graduate with $6,000 less debt than students at other 4-year public universities in Oklahoma. More than 20% of students graduate with zero debt. Financial is popular and effective: of the 72% of who apply for some form of financial aid, the average undergrad receives 94% of needs; 15% of undergrads have fully met. Pell Grant recipients receive $3,866, and total federal work-study awards come to $1,955,224. There are also numerous scholarship opportunities based on academics, athletics, and other categories. The university has an endowment of nearly $20 million. SWOSU is routinely ranked among the highest in its region by U.S. News and World Report, and has 15 nationally accredited academic programs — the most among Oklahoma’s regional universities. These include Business Administration (5 concentrations), Healthcare Administration, Organizational Leadership, a BFA, Industrial Tech, Engineering Physics, and more. Pomona College students graduate with nearly half the debt of students at other 4-year private universities in California. Almost 70% of students graduate with zero debt. Of the over 50% of undergrads who apply for some form of financial aid, 56% have their needs fully met. The average need-based grant received per student is $41,443. In addition, nearly 20% of students receive Pell Grants, which tally to $4,479 per undergrad. Work-study options are available, as well; students receive an average of $1,598. Pomona is ranked as one of the very best liberal arts schools in the country by U.S. News and World Report, alongside Bowdoin, Middlebury, Wellesley, Williams, and others. Further, students benefit from an endowment of over $2 billion, which allows the university to make generous financial packages to students. (Pomona’s student-to-endowment total is $1.2 million.) The Princeton Review and Kiplinger’s Personal Finance have ranked it in the top 5 colleges for value and financial aid. 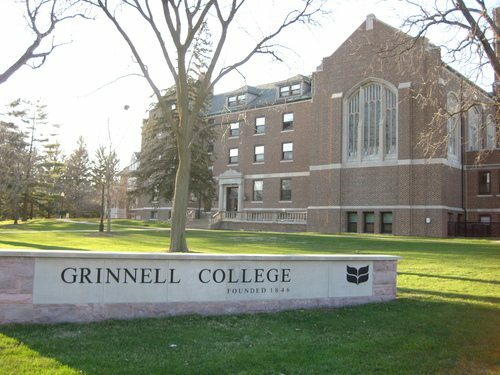 Grinnell College students graduate with half of the debt students at other 4-year private universities in Iowa. Further, nearly half of graduates have zero debt. Financial aid is a helpful factor: of the 56% of undergrads who apply for some form of financial aid, 72% have needs that are fully met. On average, need-based grants total $35,701 per recipient – a notable large portion of the cost of tuition. Grinell has been ranked in the top 20 for liberal arts schools in the country by U.S. News and World Report, and third highest for economic diversity as measured by low-income students receiving Pell Grants. It is has also been ranked #10 by Kiplinger’s Personal Finance for best value. With a unique open curriculum policy, Grinell offers degrees in 26 majors, including Psychology, Economics, Biology, History, English, and Political Science. Note also that admissions are need-blind. 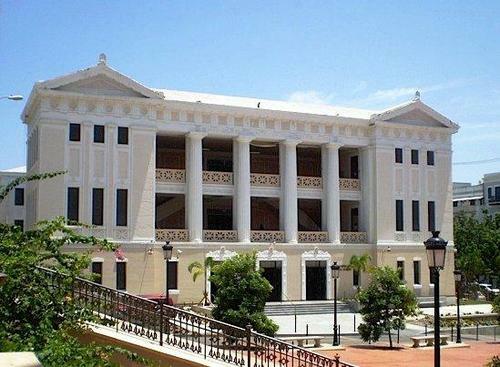 Students at Carlos Albizu University graduate with nearly half the debt of students at other 4-year private universities in Florida. In fact, 80% of students graduate with zero debt. Financial aid is popular. Of the 75% of students who applied for some form of aid, undergrads on average receive 50% of needs. In addition, 45% of students also receive Pell Grants, which total $3,949 per recipient. Work-study opportunities can help cut costs, as well: on average, students are awarded $1,860. Degrees areas include Psychology (numerous concentrations), Education (numerous concentrations), Criminal Justice, Business Administration, Human Services, Speech and Language Therapy, and more. There are also numerous master’s programs and graduate certificates. 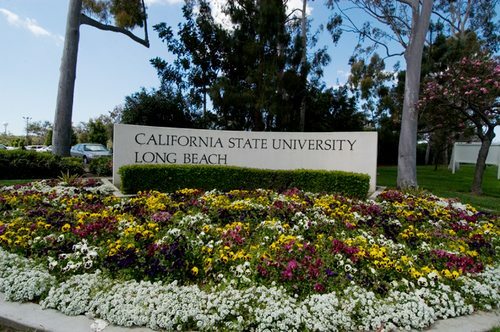 Students at California State University – Long Beach graduate with $3,000 less debt than students at other 4-year public universities in the state. Nearly 60% of students graduate with zero debt. Financial aid is popular and helpful. Of the 78% of students who apply for some form of financial aid, 34% have needs that are fully met; and on average students have 83% of their needs met. The average need-based grant is $6,427. In addition, 50% of students receive Pell Grants, which come out to $4,266. Federal work-study programs award a total of $2,619,795. Long Beach has an endowment of almost $60 million. The school is well-respected across the board, but it’s Physics and Engineering programs are especially good, the latter of which has been ranked among the top in the nation by U.S. News and World Report. For students prioritizing value, Long Beach has been ranked #19 in the nation by Payscale and CollegeNet’s Social Mobility Index. 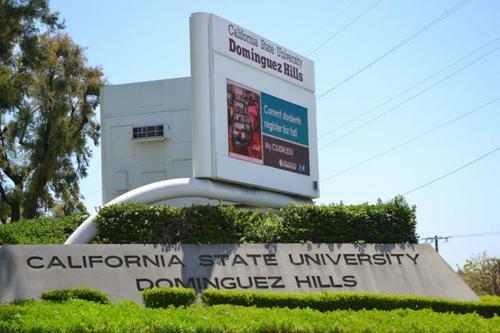 Students at California State University – Dominguez Hills graduate with $3,000 less debt than students at other 4-year public universities in the state. Nearly 40% of students graduate with zero debt. Financial aid is highly popular. Of the 91% of students who apply for some form of financial aid, the average percentage of needs met per student is 36%. The average need-based grant is $5,063. Further, 60% of students receive Pell Grants that average $4,238 per student. Work-study programs award $1,643 per student. It has been ranked among the best value schools in the country by multiple publications and institutions, including The Economist and The Brookings Institute. The school offers 45 undergraduate degrees, 22 master’s degrees, and 17 types of teaching credentials. Among the undergraduate majors are Behavioral Science, Business Administration, Child Development, Digital Media Arts, Criminal Justice Administration, Philosophy, Public Administration, and many more. 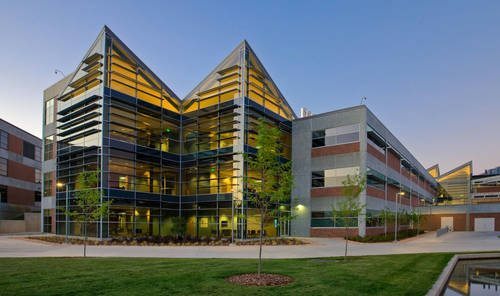 Utah Valley University students graduate with $2,000 less debt than students at other 4-year public universities in the state. Of the 50% of students who apply for some form of financial aid, the average percentage of needs met per recipient is 62%. Further, 34% of undergrads receive Pell Grants that average $3,593 per recipient. Total federal work-study grants add up to $1,324,053. Several scholarships are also available through academic merit, Dean’s merit, leadership, alumni legacy, and more. The university offers about 60 bachelor’s degrees, 66 associate degrees, 21 certificates, and 3 high-demand master’s degrees in education, business, and nursing. Among the undergraduate offerings include Business Management, Communication, English, Entrepreneurship, Marketing, Political Science, Web Design and Development, and many more. 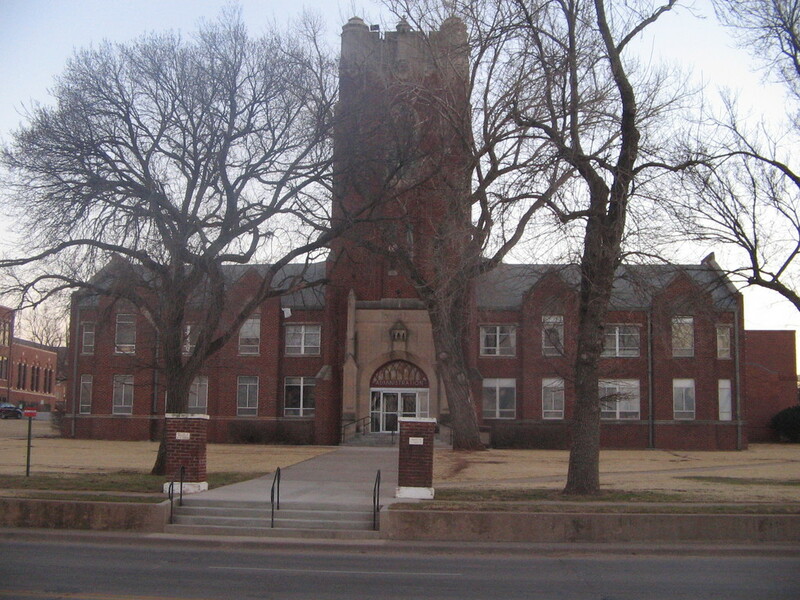 Students at Northwestern Oklahoma State University graduate with $6,000 less debt than students at other 4-year public universities in the state. Moreover, 60% of students graduate with zero debt. 63% of full-time undergraduates have financial need; 35% of students receive Pell Grants that average $3,916 per recipient. Further, work-study programs award $1,164 per recipient. U.S. News and World Report has ranked Northwestern as Oklahoma’s #1 ranked public regional university for three straight years. Northwestern also perennially has one of the cheapest room and board costs in the country, more $3,000 cheaper than comparable schools in the state. There are more than 40 undergraduate degrees; among the most popular include Education, Health and Sports Science Education, Business Administration, Nursing, Pre-medicine, Mass Communications, Computer Science, Agriculture, and more. Students at the City College of New York graduate with $6,000 less debt than students at other 4-year public universities in the state. What’s more, nearly 80% of students graduate with zero debt. 91% of students have needs; 75% have their needs fully met. On average, 82 student needs are covered. Pell Grants award $4,416 per recipient, and federal work-study grants award $4,964,000 total. 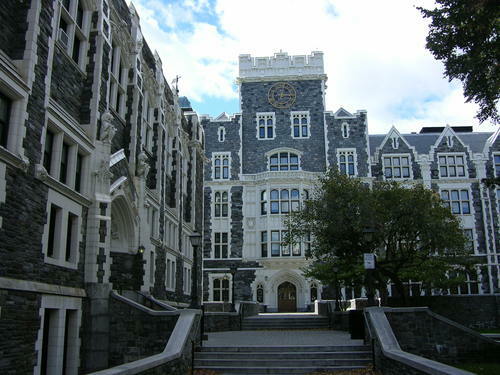 As the oldest free public institution of higher education in the United States, the City College is also considered the flagship school of the CUNY system, with an endowment over $130 million. 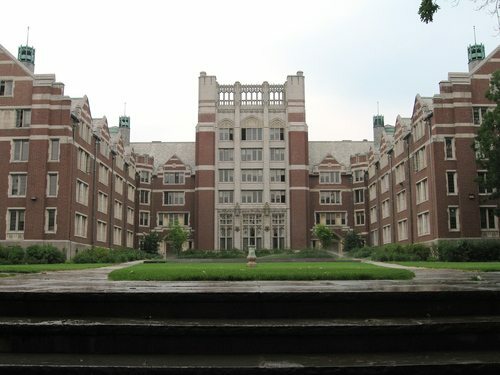 The school is divided into five schools plus The Macaulay Honors College. There are more than 50 undergraduate degrees, including in Information Systems, International Studies, English, Electrical Engineering, Economics and Business, Physics, and many more. City College is routinely ranked as a top college in a variety of publications. Dartmouth students graduate with $9,000 less debt than students at other 4-year private universities in New Hampshire. More than half of Dartmouth students graduate with zero debt. The school meets 100% of students’ demonstrated financial need and currently admits all students on a need-blind basis, with the exception of international students. Families with total incomes of $100,000 or less receive free tuition. The school awarded $88.8 million in need-based scholarships in 2015 alone. Much of this is possible thanks to Dartmouth’s enormous $4.5 billion endowment, which breaks down to over $700,000 per student. One of the most prestigious schools in the country, Dartmouth is routinely ranked as a top 15 college in all top publications. For students interested in bang for buck, Payscale ranks Dartmouth as the #7 Ivy League school on ROI. Students have the opportunity to choose from 59 undergraduate majors, the most popular of which are in Economics, Government, History, Psychological and Brain sciences, English, Biology, and Engineering Sciences. Students at the Baptist College of Florida graduate with nearly half the debt of students at other 4-year private universities in the state. 40% of students graduate with zero debt. Financial aid is particularly popular: 85% of students apply for some form of financial assistance, and the average percentage of need met per student is 40%. (The average need-based grant is $5,363.) Pell Grants are also a factor. 60% of BCF students receive Pell Grants, which come out to $3,956 per recipient. In addition, federal work-study programs award $2,049 on average. In addition to several ministry and Christian studies degrees, the school offers bachelor’s degrees in English, History/Social Studies, Psychology, Elementary Education, Business Leadership, Music, and more. Texas A&M International University students graduate with $7,000 less debt than students at other 4-year universities in the state. 25% of students graduate with zero debt. Financial aid is popular. Of the 70% of students who apply for some form of aid, 51% of their needs are met. In some cases, students have needs that are fully met. On average, need-based grants total $6,343. Further, 52% of students receive Pell Grants, which come out to $4,203 per recipient. Students may also qualify for work-study grants, which award $2,232 per recipient. (Total federal awards tally to $232,613.) 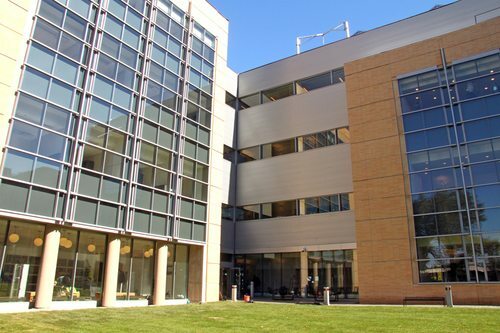 Both U.S. News and World Report and the Princeton Review rank TAIMU as one of the top public schools in the region, in particular highlighting its business school. For students looking for excellent value, TAIMU has been ranked in the top 5 by Washington Monthly and Money Magazine. The most popular undergraduate majors are Business Administration, Criminal Justice, Nursing, Biology, and Communication Disorders.